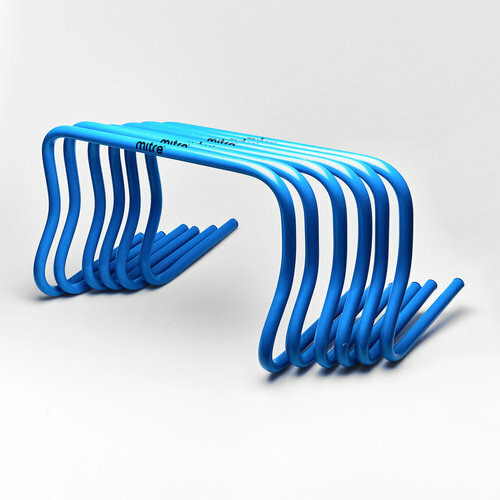 Developing your speed and power practice by using these Mitre Training Hurdles in blue. This pack of 6 training hurdles are the tallest size within the range (12 inches) that help to develop older players speed and power. These hurdles are used to improve co-ordination and win that extra yard when a 50/50 race on the pitch is necessary. The ideal object to help you practice your jumping power this pack includes a carry bag to help you transport these hurdles to and from training.